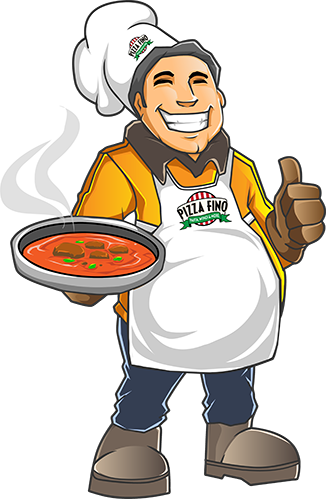 Pizza Fino is proud to say since 1992, we have only served the freshest and most authentic pizza and pasta to our valued customers. Our motto is “Like No Other” and you better believe our stone baked pizza is one of a kind. We make our pizza dough from scratch every day, and our sauces are made using our own recipes with a unique blend of tomato sauces, select spices, and fresh herbs. We only use the best cheeses from Wisconsin, where it has been aged perfectly and never frozen.